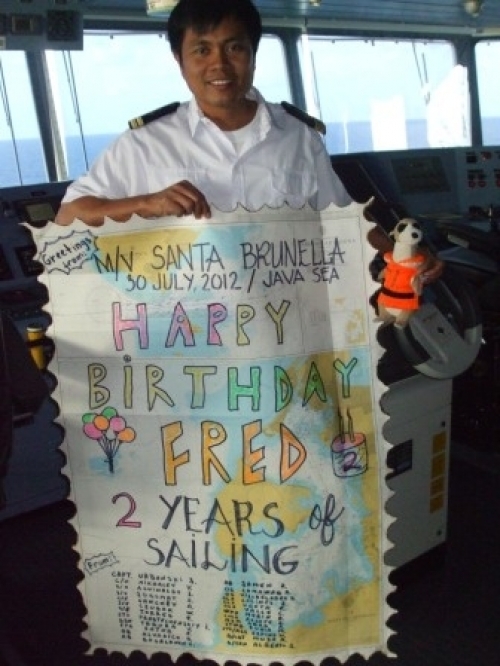 Dear friends, as you maybe know, today it’s been 2 years since I left Hamburg so I had a pleasant surprise on board. 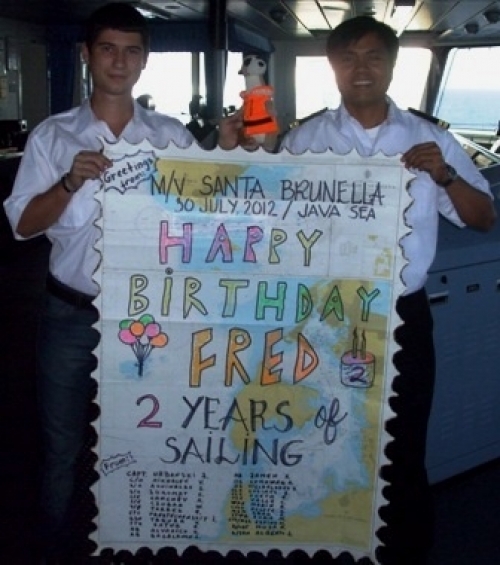 I don’t know how they found out about this anniversary but my “big brothers” from Santa Brunella, Deck Cadet Musa Alexandru and 2nd Mate Aguinaldo John, prepared me a nice surprise. I hope you will enjoy the photos as much as I did. Thank you very much guys ! And friends don’t forget, stay close because soon I will tell you a nice story from Philippines.